Father Emil Kapaun, who was born in Marion County, was awarded the Medal of Honor during the Korean War. His remains have not been recovered. 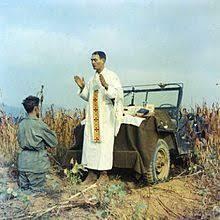 Father Emil Kapaun celebrates Mass on the hood of a jeep during the Korean War. Kapaun died in a North Korean POW camp and his remains have not been recovered. The recent summit between President Donald Trump and North Korea’s Kim Jung Un included an agreement to return the remains of American soldiers still missing from the Korean War. That has caught the interest of the Catholic Diocese of Wichita because one of the missing is Chaplain Emil Kapaun. 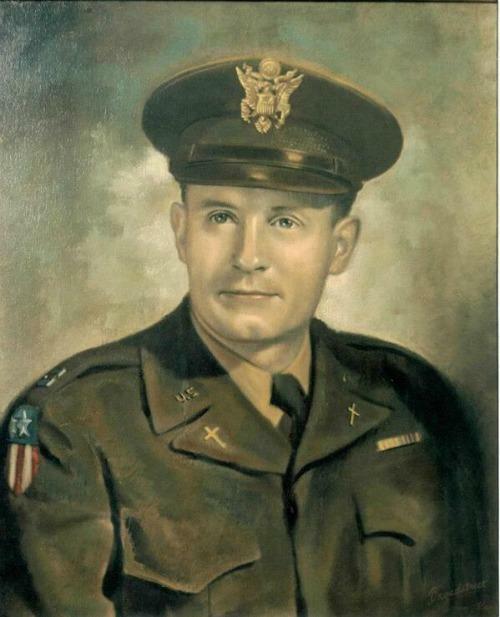 Kapaun was awarded the Medal of Honor in 2013 for his bravery in Korea and could become a saint of the Catholic Church. He died in a North Korean prisoner of war camp in 1951. “A lot of it still remains to be seen, but I think the news is very promising so far as to what President Trump has asked for and what the North Koreans have said that they are willing to do,” said Father John Hotze, who has led the Wichita Diocese’s efforts regarding Kapaun’s cause for sainthood. Defense officials say nearly 7,800 U.S. troops remain unaccounted for from the Korean War, which lasted from 1950 until 1953. About 5,300 were lost in North Korea. Between 1996 and 2005, joint U.S.-North Korea military search teams recovered 229 sets of American remains. 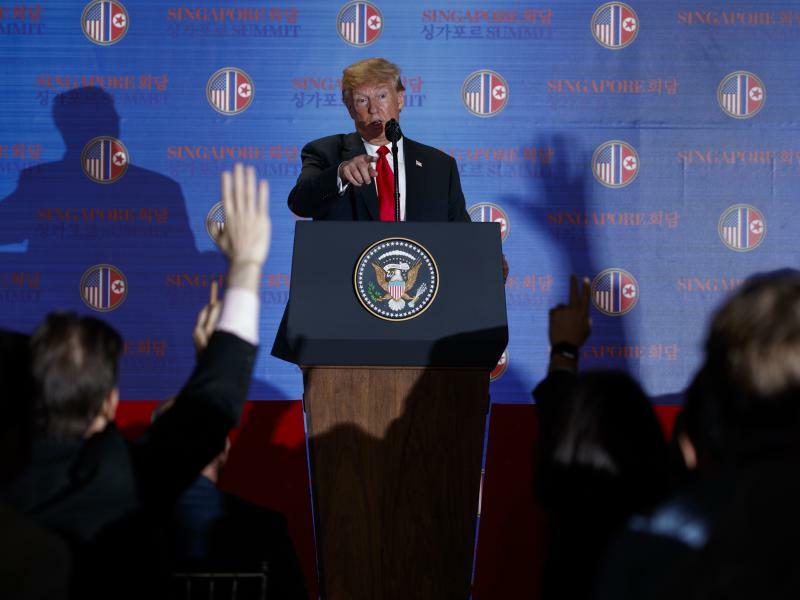 But further efforts have been stalled for more than a decade because of North Korea's development of nuclear weapons and U.S. concerns about the safety of its recovery teams. Kapaun was born in 1916 in Pilsen, a small farming community in Marion County. He was ordained into the priesthood in 1940 at what is now Newman University. He served as a chaplain in World War II before returning to Kansas. He enlisted again and was among the first troops that landed in Korea after the outbreak of war in June 1950. At the Battle of Unsan on Nov. 1 and 2, Kapaun provided medical aid and comfort to soldiers during an overwhelming assault by Chinese soldiers. He rescued soldiers from no-man’s land despite intense fire. When American soldiers pulled back, Kapaun stayed behind with the wounded soldiers. He later helped negotiate a safe surrender to Chinese forces, sparing the lives of the wounded. For his actions, Kapaun was awarded the Medal of Honor in May 2013 by President Barack Obama. In the North Korean prison camp, Kapaun stole food to help feed his fellow POWs. He also provided spiritual comfort during a brutally cold winter that saw nearly half the prisoners die. He died in May 1951 at the age of 35. He was buried in a shallow, unmarked grave. Chaplain Kapaun Memorial High School, now Kapaun Mount Carmel, is named in his honor. In 2013, the diocese was informed that Kapaun’s body might be located at the National Cemetery of the Pacific in Hawaii, informally known as the “Punchbowl.” U.S. forces recovered the remains of hundreds of unknown soldiers immediately following the war. “I think the possibility that he is still in Korea is probably a very good possibility, at least equal if not greater than the possibility of him being there in the Punchbowl in Hawaii,” Hotze said of Kapaun’s remains. Kapaun was named a Servant of God in 1993, the first step in the long process to sainthood. He would become just the fourth American-born saint if he is canonized. A Vatican committee is now examing documents related to Kapaun’s life, including possible medical miracles attributed to him involving two Wichita area teens. Hotze said the diocese hopes to hear this year about whether the committee will pass the material on to a group of cardinals and archbishops. They will decide whether to forward it to Pope Francis. He will decide whether to name Kapaun as “Venerable,” the second step in the sainthood process. “We’re still kind of at the beginning of the process, but we’re making headway and looking forward to the next step,” Hotze said. Tom Shine is the director of news and public affairs. Follow him on Twitter @thomaspshine. To contact KMUW News or to send in a news tip, reach us at news@kmuw.org.